Profitez de la belle région de Lowlands Beach avec des promenades panoramiques à toutes les destinations touristiques merveilleuses que la région du Grand Sud a à offrir pour vos vacances. Lowlands Beach Country Retreat est un grand chalet de 2 chambres avec tout le confort de la maison. Vue sur les pays ruraux avec beaucoup de vie des oiseaux et à quelques minutes à pied de la plage. L'endroit parfait pour les amis, les couples ou les familles de rester pour une escapade agréable. Great location, friendly owners and the pig and goat are great, their big dog is lovey but a bit much at times for young kids when he is loose around the property. Overall a lovely little holiday cottage. 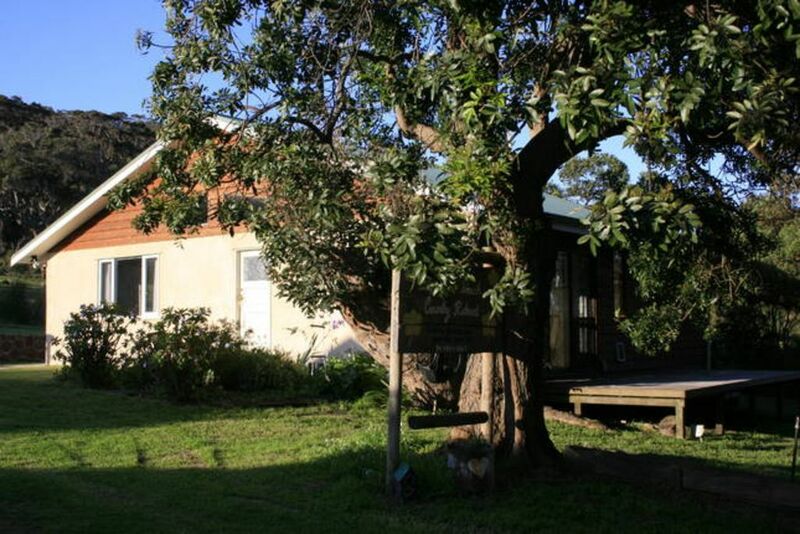 The property is in great condition, in a fantastic, quite location between Denmark and Albany. I've stayed at the property multiple times over the last few years and always found it to be a clean and presentable. Highly recommend it, thank you Chris Usmar. Enjoyed seeing the cows in the fields on the drives to and from the property. Lowlands beach is a good little spot close by (recommend driving or by push bike). Property was clean and generally basic but functional, a good place to get away from the city and enjoy some time in the country. The only negatives were that the gas bottle for the bbq ran out in the first 2 mins so we had to use the stove that night and my message to the owner asking for another gas bottle remains unanswered (perhaps on holiday? ), so we didn’t have a bbq during our stay. Also, while minor, there weren’t any spare bin bags nor salt or pepper which seem trivial but could easily be rectified. A visit by the neighbours horses was a good surprise in addition to the resident goat and pig. The small dog door was a good surprise too and our dogs enjoyed that. Apologies for our dogs not being friendly to Boxer (Boxer just wanted to play with them), unfortunately the size difference was too great, but Boxer seemed like a good friendly dog. Mobile coverage is non existent (even Telstra) but it’s a good break from it all and there are board games and an Xbox. Overall a good spot in lovely surroundings.